Anybody can tell jokes but only a few can really put that lasting smile on the faces of their audience. The likes of Larry the Cable Guy are professionals in this area. The American stand up comedian is today known for his work in the entertainment industry and thanks to his hard work and dedication, he is now considered among top grossing stand-up comedians of our time. Larry Cable Guy picked up comedy as a career during his junior year at the Baptist University of America and over the years, the Nebraska native has been able to market his blue-collar-based humor all over the world and as a result, he has earned himself a huge reputation along with massive financial backing. Here is more to learn about the notable comedian. 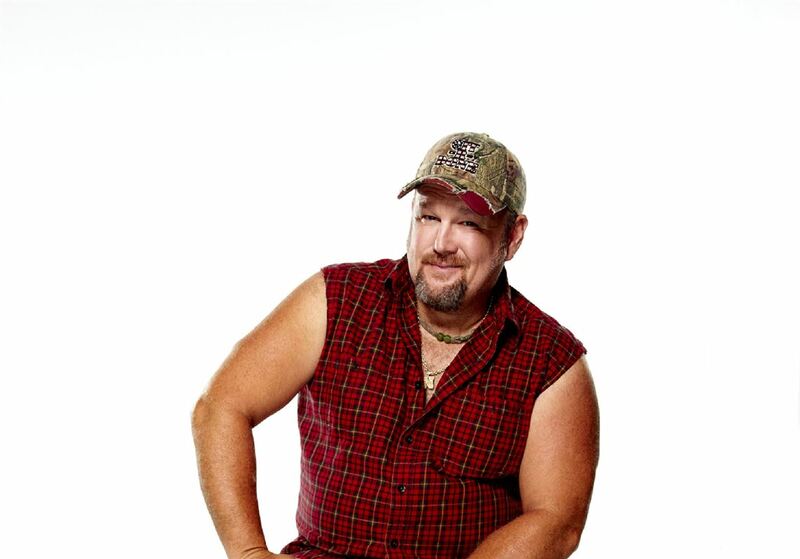 Born February 17, 1963, Larry the Cable guy is a native of Pawnee City, Nebraska. His real name is Daniel Lawrence Whitney and he was born to Shirley and Tom Whitney who own a pig farm where Larry was raised. The comedian’s father, Tom, is an entertainer, guitarist and Christian preacher while his mother Shirley is known for playing as an Elvis impersonator. Growing up, Larry moved with his parents to West Palm Beach, Florida, where he began his high school at The King’s Academy, an academy where his father was the elementary school principal. He also attended Berean Christian School where he graduated before moving to college at the Baptist University of America in Georgia. He also attended the University of Nebraska-Lincoln where he studied drama and speech. Larry the Cable Guy was talked into becoming a comedian by his friends who saw him as a funny guy who would do well as a comedian. In 1986, the young boy gave himself a trial by stepping into a comedy club. After taking part and watching a couple of performance, he was inspired to begin his comedy career, dumping his job as a bellhop at a local Ramada Inn. Larry started off as a comedian for small clubs until he eventually got a job as a radio DJ. He was known for his appearance in shows like ‘The Chris Baker Show’, ‘The Ron and Ron Show’, ‘The Todd and Tyler’, and ‘The Bob and Tom show’. While doing that, he also did commentaries for ‘Greg and the Morning Buzz’. He initially performs with his real name but it appears as if his fame came with his inclusion of ‘the Cable Guy’ character to his first name. The comedian’s first comedy album Law and Disorder was released in 1995 and two years after, he launched his second album, Salutations and Flatulations. His third album, Lord, I Apologize, reached the public on October 30, 2001, and it was certified Gold. The album did not only become his major hit but it also further increased his fame. It also helped other of his albums, including A Very Larry Christmas and The Right to Bare Arms, to sail high. Larry’s other comedy albums include Christmastime in Larryland, Morning Constitutions, The Best of Larry the Cable Guy and Tailgate Party. In addition to his comedy, Larry the Cable Guy’s love life has proven to be interesting. The married standup comedian exchanged vows with his wife Cara on July 3, 2005, and instead of the conventional wedding attires, the pair both wore their casual clothes for the ceremony which was held in an open field in Nebraska. Prior to meeting the renowned comedian, Cara worked as a radio DJ for a local radio station in Los Angeles, California. She has even authored a book titled “Unbridled Faith: 100 Devotions From The Horse Farm” and her net worth is said to be in the region of $1 million. Larry and his wife, Cara, are blessed with two children; son Wyatt and daughter Reagan. The comedian currently lives with his wife in their $3.6 million luxurious Scottsdale house in Arizona. He also keeps in touch with his parents including his sister, Debbie Whitney and his brother, Tom Whitney Jr. Being in the showbiz for decades, it is only natural for Larry the cable guy to record great financial success from the industry. The stand-up comedian has a net worth of $80 million according to Celebrity net worth. This, he earned majorly from his career as a comedian and partly from his films and TV acting career. Some of the movies he featured include Witless Protection and Delta Farce.